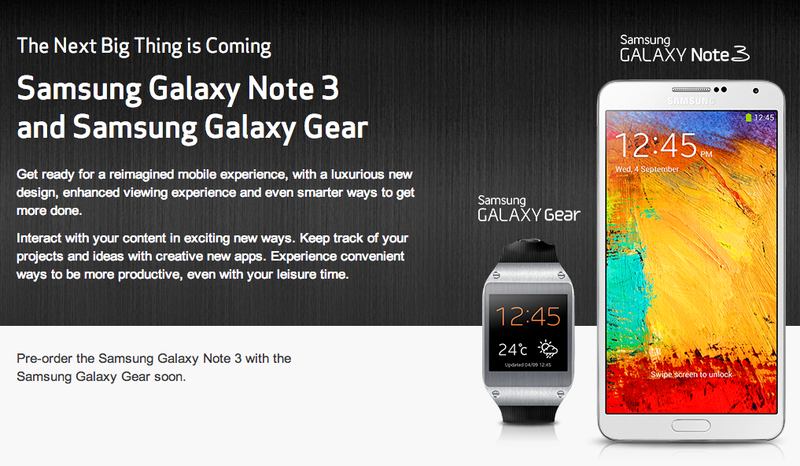 Verizon tweeted out its plan to carry both, the Galaxy Note 3 and Galaxy Gear on its network, with pre-orders coming “soon.” There is no word on if there will be some sort of package pricing or anything of that nature, but one might hope so considering the Galaxy Gear is listed at $299. As for the Note 3’s pricing, that is yet to be announced. And just to clarify, the Gear does not have any type of wireless connectivity besides its Bluetooth 4.0 radio. So no, you won’t see 4G LTE or 3G options on Verizon. Sorry. Once pre-orders go live, we will let you know. Plan on signing up? 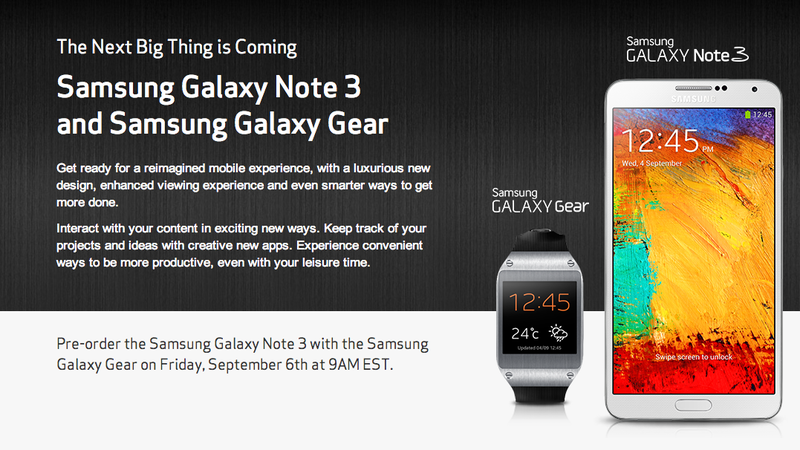 Update: Pre-orders for Verizon’s Note 3 will go live September 6 at 9AM EST.